A-B-O-O is rated 3.7 out of 5 by 6. Rated 4 out of 5 by rprisonerfan1952 from MY THOUGHTS ON ABOO I ENJOYED PLAYING THIS GAME. IT'S GOOD COLOR AND ACTION. Rated 4 out of 5 by gumybear57 from Deceptively Different M3! I don't know if I missed an explanation in the beginning of this game or what, but for a few minutes I didn't know what was going on!! Then...duh! It's a different type of M3 as you don't swap tiles that are next to each other, but you actually pick up a tile with the icon on it that you want to then swap in another area to make a M3. So you actually need to think ahead a few moves to plot how to get the best "bang" for your buck!! There are the usual locked tiles and different colored background tiles that require a M3 over the area to win that level. The automatic hints seem to occur way too fast, so I disabled that feature but others may appreciate the help. I liked that you could choose which power-ups you wanted to use and the resulting explosions were very satisfying! I really enjoyed this game! So I bought it right after the trial! I usually don't like having to use my brain this much for the M3 games, but in this case the added twist of picking up and choosing where to best place the icon was fun! As always, all us fishies have different tastes, so try it for yourselves and see if it is fun for you too! Rated 4 out of 5 by myyorkies1994 from A Different M3 Concept! This match 3 requires you to make a match with the icon displayed on your cursor, whether or not those tiles are already uncovered, which drove me NUTS in the first 4 minutes! 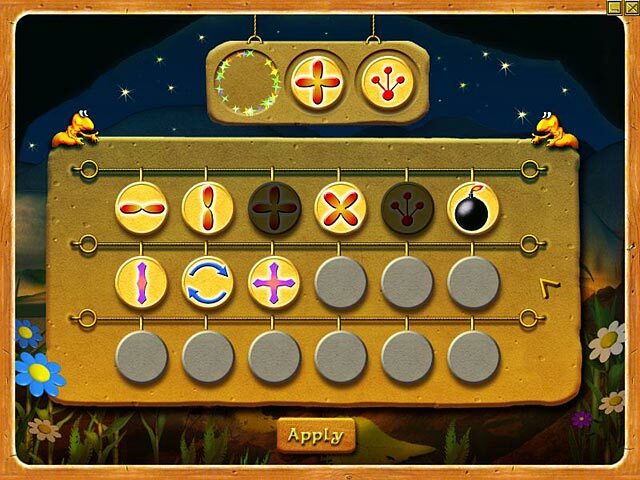 But I went back to the game, and, after having figured out this fact, found the game delightful! 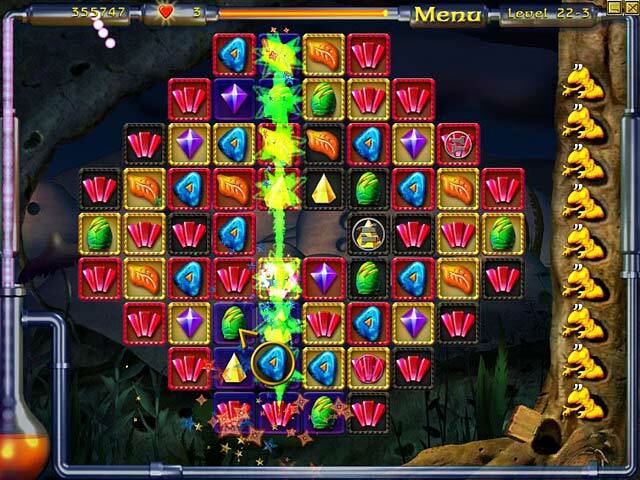 It offers a timed and untimed mode, and the board configurations become more difficult with each level. I like that you can still make moves when the tiles are still settling from your prior move. Multiple matches offer explosions! Even though the timer is generous, I've had to re-play several levels. 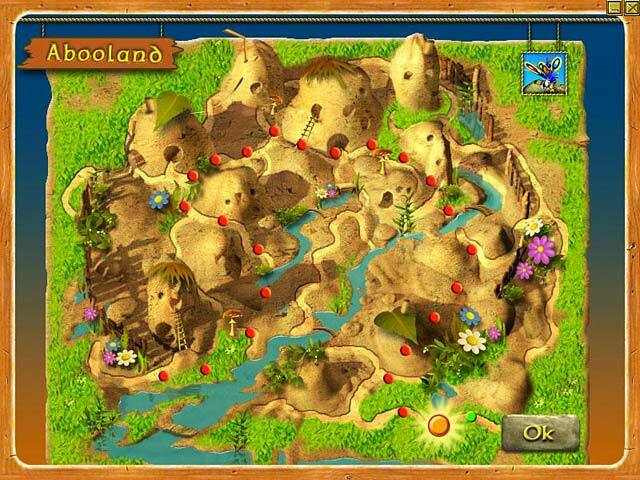 The colors are wonderfully vivid and bright, and the icons change as the levels progress. Don't let the cute characters and whimsical music fool you, this very different match 3 presents its challenges! 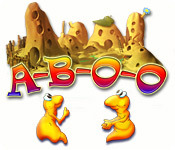 Rated 3 out of 5 by Clavister from A-B-O-O Another gameplay than the usual M3 games. But that is not necessarily better. I did not find it great. Rated 2 out of 5 by bep1 from Not good. I liked the sound effects of this game, but it was strictly match three, and nothing else. No purpose to try for. I got bored in a few minutes. Wish I hadn't bought it.